Giant Tree Trail, a hiking route in Alishan National Scenic Park was built when Alishan’s sacred tree fell down naturally in 1998, ending its legendary life. Why Giant Tree Trail is special ? Giant Tree Trail, a hiking route in Alishan National Scenic Park was built when Alishan’s sacred tree fell down naturally in 1998, ending its legendary life. 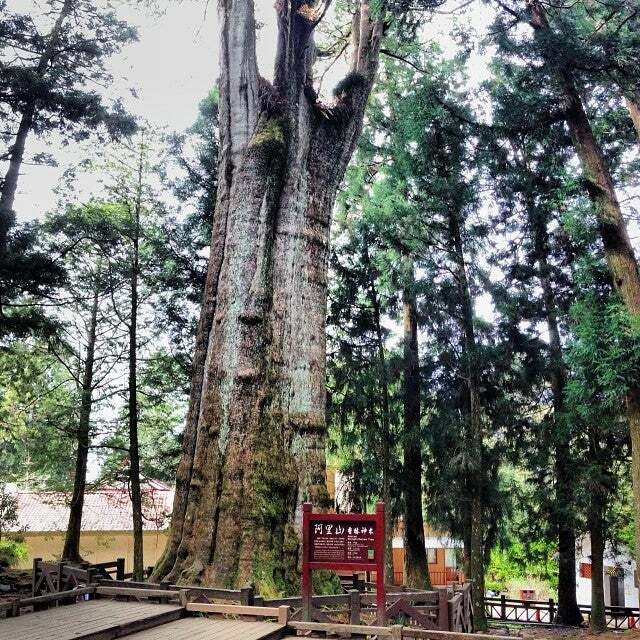 The towering giant trees (神木) is one of the most representative symbols in Alishan. Abundant rainfall and perennial mist enveloping the mountains have made Alishan the homeland of red cypress trees. During different weathers and seasons, visitors may have different experience. On a sunny day, sun rays stream through the leaves of trees. As thick fog covering the forest, the trail looks mysterious. A forest bathing trip involves visiting a forest for relaxation and recreation while breathing in volatile substances, called phytoncides, which are antimicrobial volatile organic compounds derived from trees. 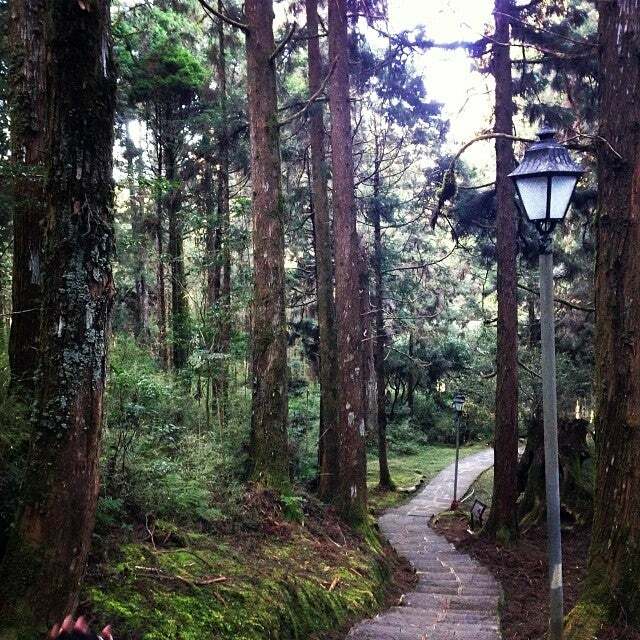 Alishan is the perfect place for forest bathing. What to explore at Giant Tree Trail? There are two “Giant Trees Boardwalks” through the giant forest, one begins from the front of the Thousand-Year-Old Cypress and the other one is from Xianglin Giant Tree (香林神木), or also called Giant Tree No.28. 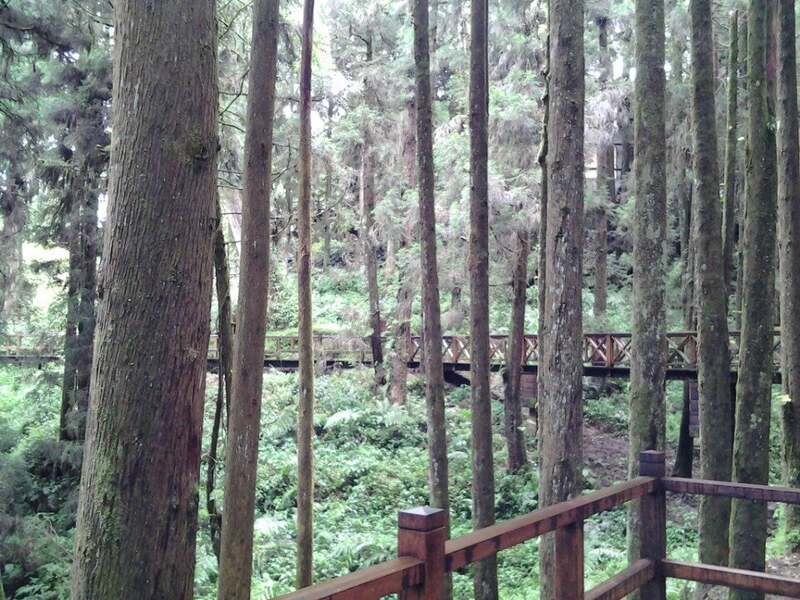 Xianglin Giant Tree is the most majestic tree in Alishan Forest Recreation Area. It’s a red cypress tree at approximately 2,000 years old, 43.5 meters in height, and 13.1 meters in circumference. Passing through the boardwalks, you will see 36 soaring red cypresses along, each over a thousand years old. The trail is mostly on a wooden platform and winds its way up and down a part of the mountain with what's left of the giant Taiwan red cypress trees, that the Japanese built the Alishan Railway for. It is wonderful to find a place in Taiwan where you can hear birdsong, running water and the gong ringing in the local temple without the noise of traffic. How to get to Giant Tree Trail? Do remember that it will be much cooler up on Alishan. It does snow occassionally in winter, so make sure you have something warm to wear. Entrance free is included in TWD200 ticket of Alishan Forest Recreation Area. The small Cihyun Temple, originally built by the Japanese, and the Tree Spirit Pagoda are along the way. 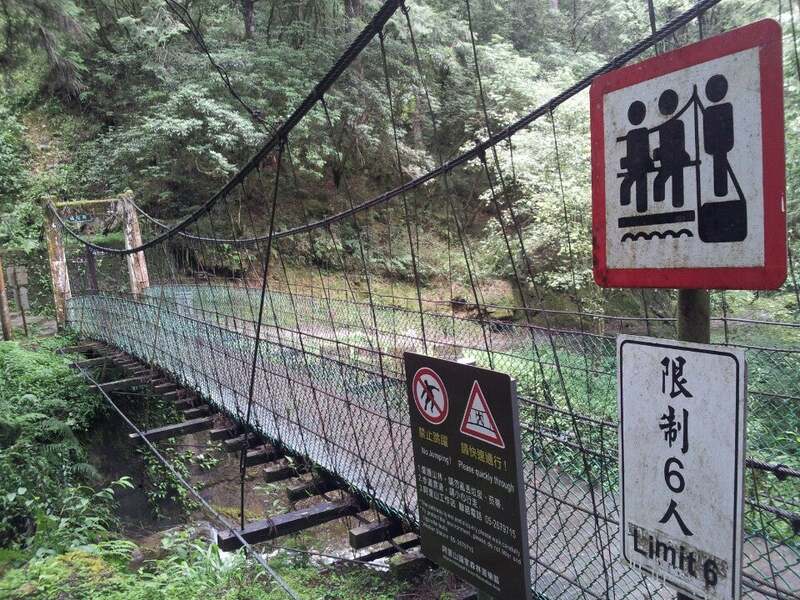 At the end of the tracks, there’s a train trestle over a small stream that puts you close to the Shuishan Giant Tree. You should note that the trail is particularly spooky when the mist rolls in. After climbing up some rocky steps, there’s a beautiful viewing area around this humongous tree!